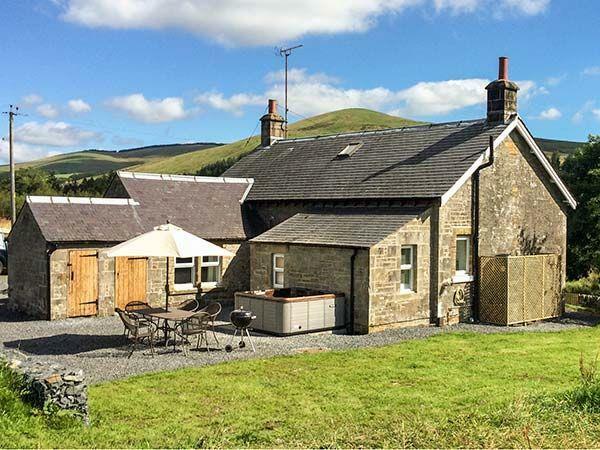 The holiday cottage of "Netherraw" can be found in Newcastleton near Hawick in Roxburghshire. Netherraw can sleep 6 people with 3 bedrooms to sleep your holiday party. Netherraw has a bedroom makeup of: Three bedrooms: 1 x ground floor king-size double, 2 x twin. Ground floor bathroom with bath, shower over, basin and WC. Ground floor shower room with shower, basin and WC. Kitchen with dining area. Utility. Sitting room with woodburning stove. It's worth looking at Netherraw if you're after a family holiday cottage. These are the reviews for Netherraw. There are 15 reviews. The cottage is super comfortable and peaceful. Which was exactly what we needed. And the hot tub was perfect. Can’t recommend watching the stars from this hot tub at night enough. The beds were all comfortable, the sofas squishy and perfect for chilling on in front of the log burner. Our dogs loved the field round the cottage, lots of long grass for bounding through. I was a little concerned as they could have gotten out of the garden space, but they didn’t. We were all very sad to leave at the end of our week at Netherraw. And hope to be back. Very clean and cosy cottage. Well stocked with all essentials and a lovely peaceful location. A good size for four adults and the dogs we loved the lack of traffic around the cottage, in fact I think we saw more planes silently passing overhead at night sat in the hot tub than we saw traffic on the road past the cottage. Provided you get clear skies you have wonderful dark skies loaded with stars. The kitchen is well appointed, easy to use and we cooked every evening with no problems. The local Border towns offer a good range of independent shops including butchers, bread and cake bakers, green grocers and supermarkets plus of course a wide range of artisan craftsmen within reasonable reach. We felt that the goods they produced were of excellent quality and they were priced very reasonably. We explored Selkirk, Melrose, Kelso, Hawick along with Kielder reservoir, Cragside house and Lindisfarne on the English side of the border. Although we didn't actually go into Jedburgh it is also within easy reach of the cottage. Another added bonus to this area is that most parking that we used around the various towns and villages was free of charge. 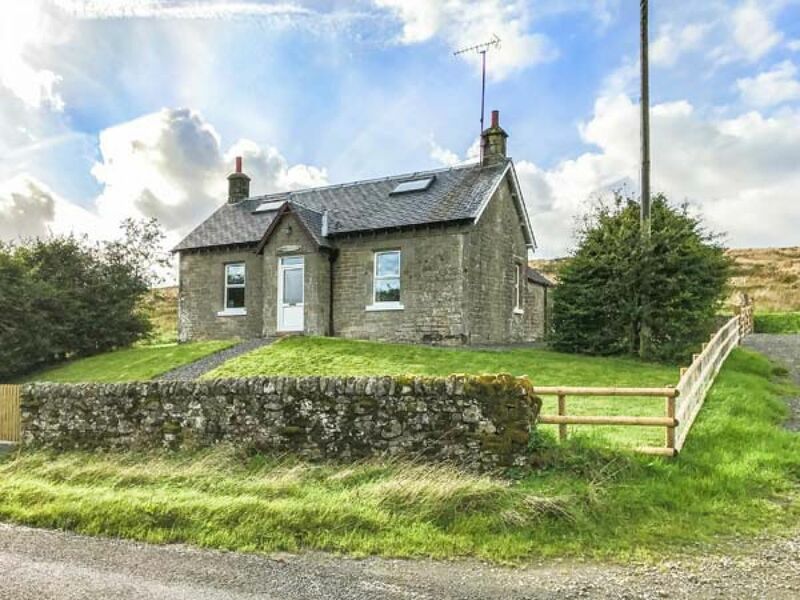 Driving around the quiet roads you have chance to see the beautiful and varied countryside that is the Scottish borders with views reaching for miles and inhabited by sheep, cattle, goats, donkeys, horses and pigs plus of course the occasional local all of whom are friendly and very welcoming and happy to help. The nightly hot tub sessions completed what was a restful and perfect weeks holiday and we would highly recommend this cottage to anyone. Lovely hot tub and equipped very well. Lovely location and will certainly be back! Couldn't have wished for a better place to relax. The owners made sure we had everything we could possibly need. Will be re-booking in the future! It had everything we needed and the beds were sooo comfortable. Cottage had everything needed and was finished to a lovely standard inside. Hot tub was an added bonus, especially under the clear night skies. My Husband and I took our two dogs and stayed for a week in this gorgeous house. The house was beautifully decorated and had a lovely cosy feel. The lounge with it's wood burner is perfect for snuggly evenings in. There is a massive garden which is perfect for dogs to play and explore. First time in a hot tub but highly recommend - ideal for star gazing Location does feel like you are in the middle of nowhere which was exactly what we wanted - perfect for getting away from it all! If you're looking for other cottages around Netherraw, we've got some cottages below which may take your liking. There are 38 cottages within 15 miles of Netherraw - and they have reviews too.